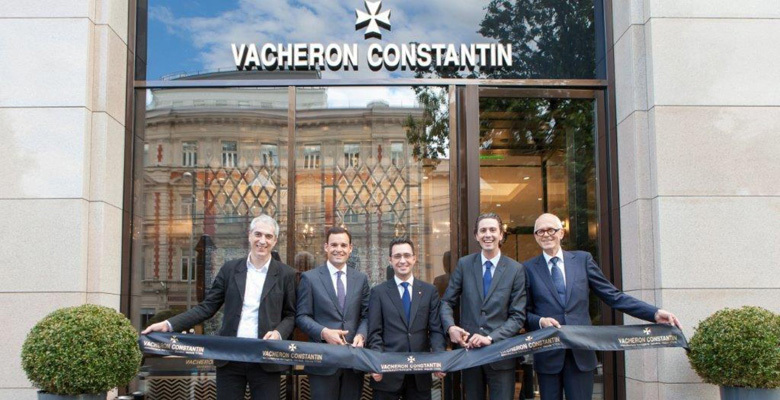 20 June 2014, Moscow – Vacheron Constantin, the world’s oldest Haute Horlogerie manufacture with almost 260 years of uninterrupted history, celebrated yesterday the grand opening of its Berlin House new boutique in Moscow. 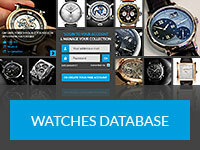 The event was hosted by Yann Bouillonnec, Vacheron Constantin International Director and Nicolas Deflers, Vacheron Constantin Russia Brand Director, in presence of Dominique Bernaz, Vacheron Constantin Retail Director and Filippo Gabbiani, architect for Vacheron Constantin Boutiques. At their arrival, guests had the opportunity to admire four exceptional, unique and highly complicated heritage timepieces, coming from the Vacheron Constantin heritage collection in Geneva as well as four exclusive new timepieces, specially dedicated to the Moscow Boutique, including the unique Patrimony Traditionnelle Calibre 2253 model, highlighting the technical excellence of the Maison. Before the ribbon-cutting, Yann Bouillonnec highlighted the strong relationship between the manufacture and Russia “Vacheron Constantin has maintained longstanding ties with Russia since 1819, when our Maison delivered its first repeater watch to Prince Potemkin, followed by numerous models ordered by the Russian elite of the time. Indeed, since the early nineteenth century, Vacheron Constantin and Russia, have shared a number of cultural values around the sophisticated art of horology”. Then, Nicolas Deflers invited the guests to enjoy the evening cocktail, on the second floor, with a live musical background and to discover the other nineteen exceptional creations of the ”Vacheron Constantin’s Treasures” heritage exhibition. People also had the chance to admire Vacheron Constantin’s in-house High Complication watchmaker working on Calibre 2253. This exceptional 457-part calibre features a tourbillon along with several astronomical-type complications, such as a perpetual calendar, an equation of time and sunrise and sunset times for the city of Moscow, demonstrating the technical excellence of the Manufacture. With 352 square meters, the two floors create a welcoming space for clients, displaying its exquisite timepieces in elegant showcases. The interior design incorporates contemporary elements into the traditional design through an architectural perspective that reveals the brand’s constant research for excellence and aesthetic perfection. The finishing has been created according to a color scheme, emanating a warm, cosy, discreetly luxurious atmosphere that allures customers to appreciate the culture, history and tradition of excellence that defines Vacheron Constantin. Founded in 1755 in Geneva, Vacheron Constantin is the oldest watchmaking manufacture in the world, with an uninterrupted activity almost 260 years. Founders of the very spirit of the precious and technical fine watch making, the men and the women of Vacheron Constantin continue to design, develop and produce exceptional timekeepers, remaining close to the three fundamentals of the brand: perfectly mastered technique, harmonious and inspired aesthetics and an extremely high level of finishing touches.